When I first heard of a Legacy Drawer I had no idea what it was. To me it sounded like a collection of memories that I wanted to pass on to my kids. After some research and reading up at daveramsey.com I was surprised to find out that a legacy drawer is something completely different than what I thought. Basically a legacy drawer is where you house all of you and your family’s important information so it can be easily found in the event that something happens to you. Yes, I know not a pleasant thing to talk about, but when you look at it as something that will help your family in a difficult situation… it changes things up just a bit. 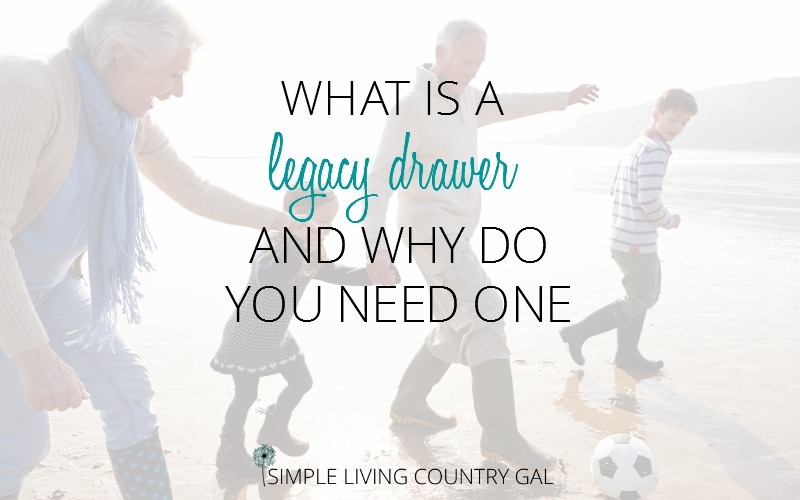 No matter what your age or the size of your family you need to set into place a complete legacy drawer. Remember this is to help your loved ones so setting one up as soon as possible is an easy decision to make. Whether you are single, married, have children or not everyone should have something set up no matter what their age. Tip: Below you will find my Legacy Drawer Checklist that you can download and print for free. Step #1 Decide on a location Pick a location that is easy to find and easy to access by anyone in your family. I would recommend an office drawer or file cabinet but you can also keep things in your room if your are more comfortable doing so. If you are uncomfortable leaving such valuable information out, you can purchase a fireproof lock box to ensure your Legacy Drawer is kept safe at all times. We use this one and have been quite pleased with it. It has plenty of room and is protected in case of a fire. Our family knows where it is along with the location of the keys. I suggest going over things with your family if possible. This will help you to know that everything is in order and give them the chance to ask any questions. Step #2 Make sure you start with a cover letter. 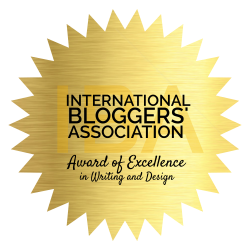 This letter will simply give the reason and purpose of the drawer. This will help whomever is accessing the drawer better know the purpose and what contents are included and why. Step #3 Will and Estate Plans. 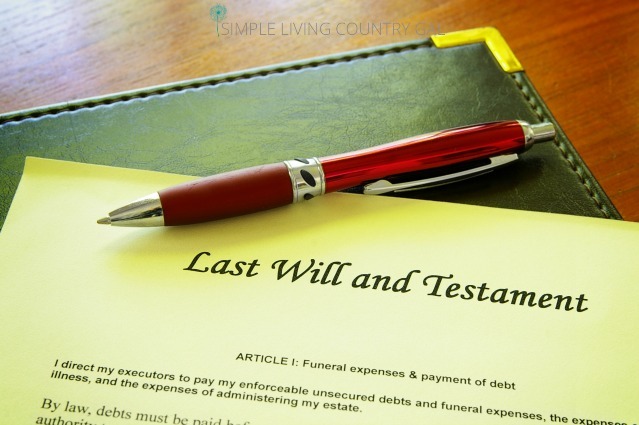 Make sure to include all information regarding your will and your estate. Include the name(s) of your executor and the Power of Attorney if one is assigned. Step #4 Insurance Policies. All information you have for life, health, home, and car insurance should be included. It may be easier to keep a cover sheet explaining each for quicker access. Include contact names, phone numbers and addresses as well. Step #5 Financial Accounts. Include all information regarding checking, savings, CD, investments, loans, mortgage, credit cards, memberships etc. Anything that involves money that is in your name should be included. List the bank, account numbers and phone number of the establishment. Each company will need to be contacted so make sure to include any information that will help to make this task a bit easier. Step #6 Legal Documents. Include any deeds, social security cards, birth certificates, passports, and titles. If you cannot put the originals in, a copy should be kept in it’s place with the location of the original noted. Step #7 Passwords. Keep a list of any passwords to accounts or sites that may need to be accessed on your behalf. List the site, the username, password and the reason why you are including it. Step #8 Safe Deposit Box. Not many people have safe deposit boxes anymore, but if you do make sure to include the information on where it is and how to access it. 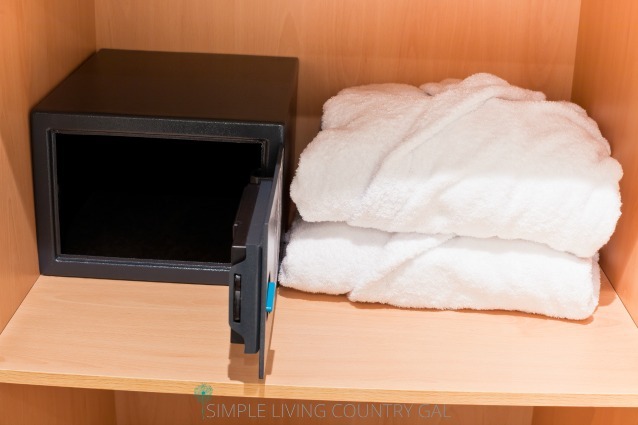 Keeping copies of what is in your legacy drawer in your safety deposit box is a great back up to have as well. Step #9 Monthly Budget. If you are in charge of the bills and budget for your home this can be quite helpful to your spouse or loved ones. Knowing exactly what gets paid each month will allow them to focus on other things. More important things during these difficult times. Step #10 Tax Returns. Keep a copy of 2-3 years of tax returns is helpful. You do not need to include everything but the main return can be helpful. Step #11 Funeral Instructions. Listing exactly what you would like done in the event of your death can be so incredibly helpful to your family. The last thing they want to do is make important decisions. Having a list of the what and the how will be so comforting to your family. Keep things specific and straight forward. Include all the details for both yourself and your spouse if you are married. Step #12 Letters to loved ones. 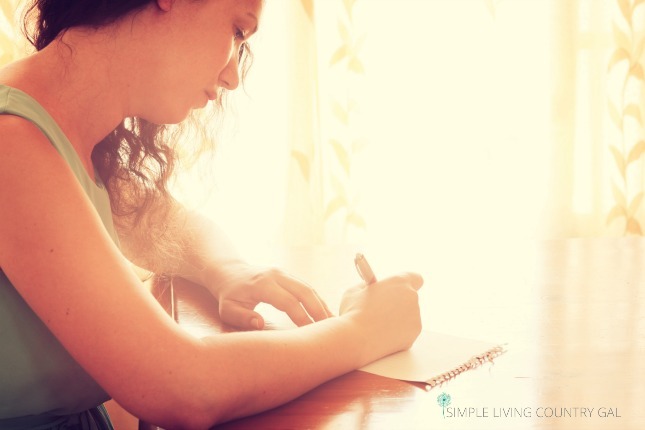 You may also want to include a letter to each of your family members. I really do love this part of the Legacy Drawer. Taking the time to let family and/or friends know how much you loved and appreciated them will be such a comfort to you and to them. Give your feelings life on paper so your love is known to whomever it was given to. I realize this is not a fun or exciting task to think about doing. However, knowing the comfort you will be giving your family at such a emotional time should be enough incentive to at least get this on your to-do list. Have a simple system in place so you know your wishes will be met and your family will be cared for. 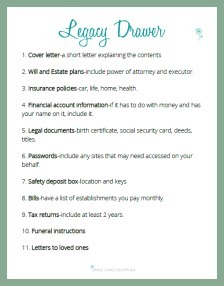 To help things just a bit, I have a free Legacy Drawer checklist you can download and print. Use this to make sure everything is included in your drawer. You can also use this checklist as part of your cover letter.